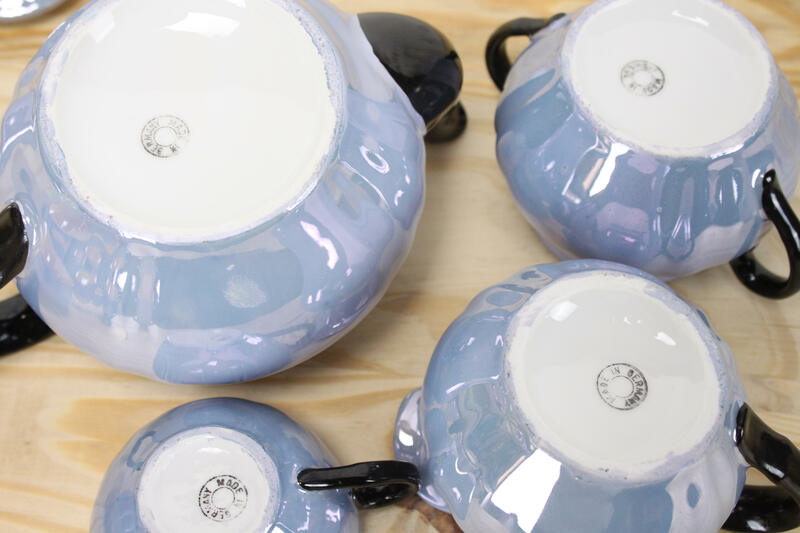 This amazing tea/coffee service is in stunning condition! 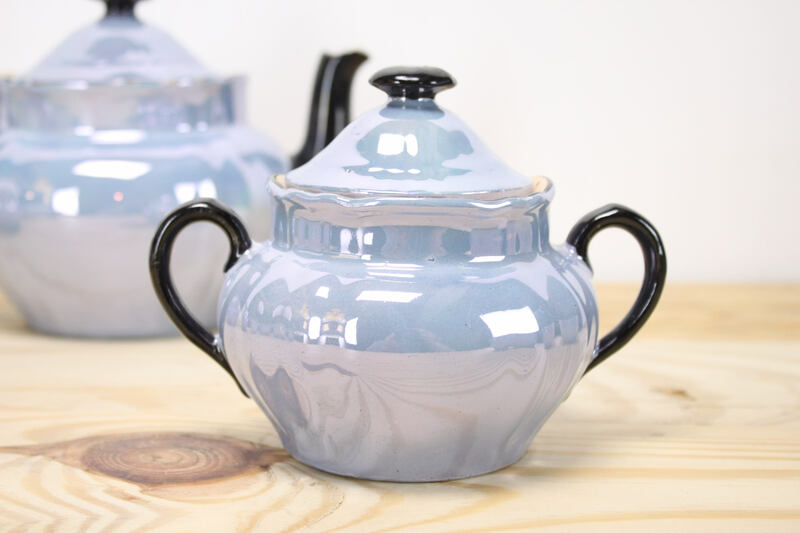 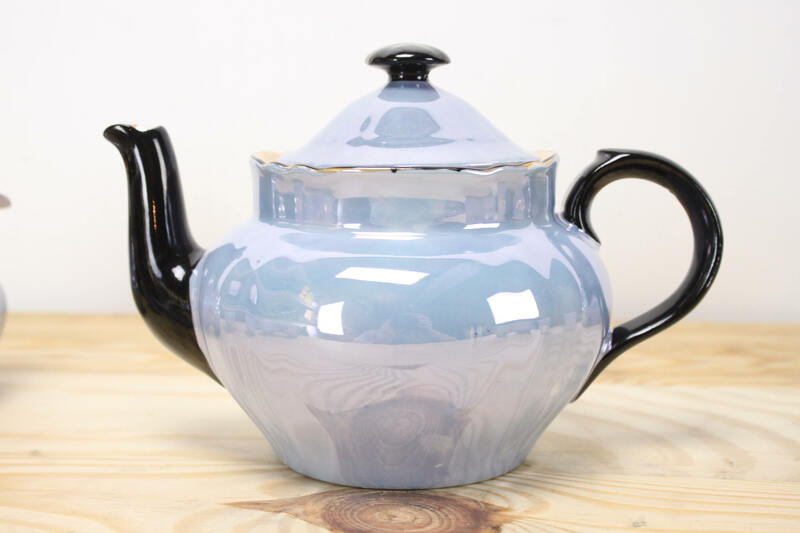 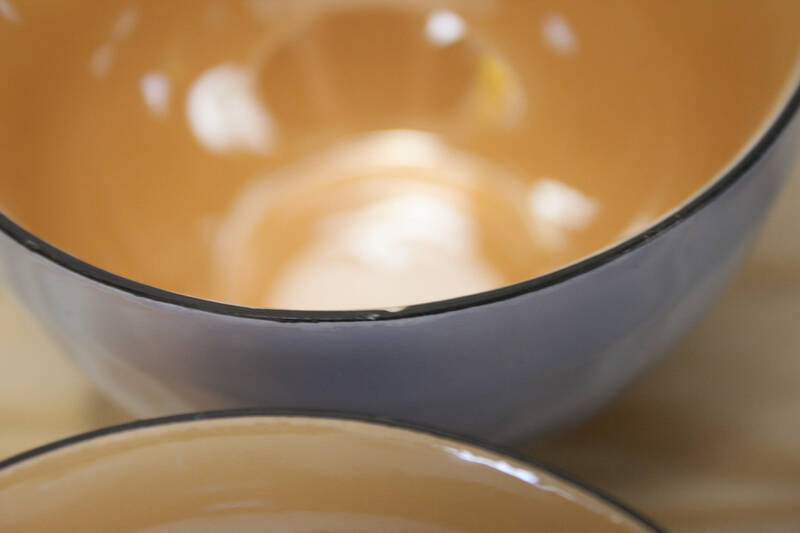 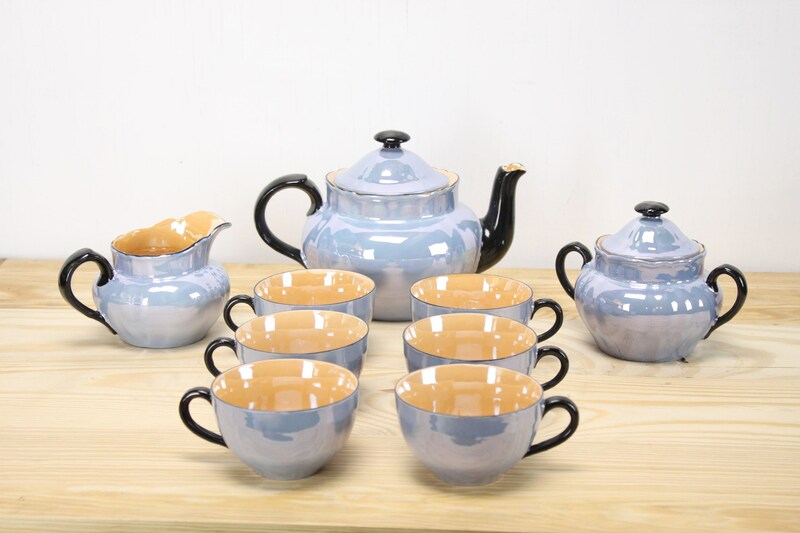 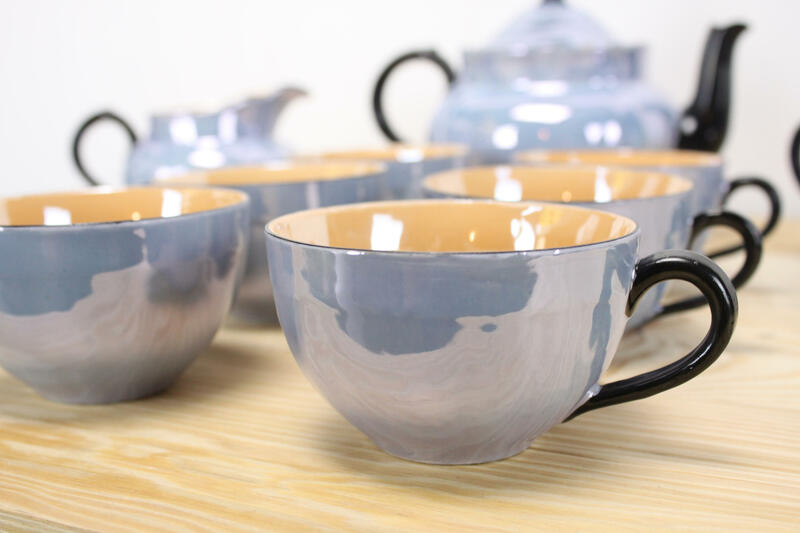 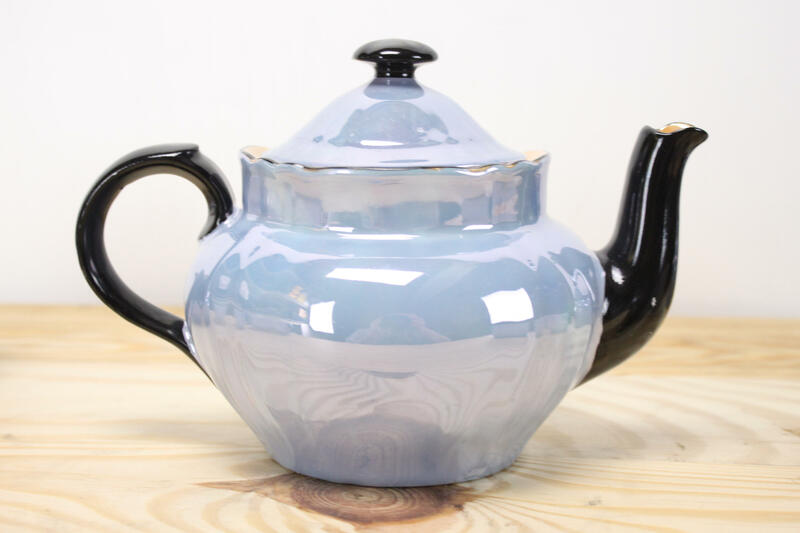 This quintessential 1930's tea set was manufactured in Germany and features stunning Art Deco lines and a purple, orange and black lusterware glaze! 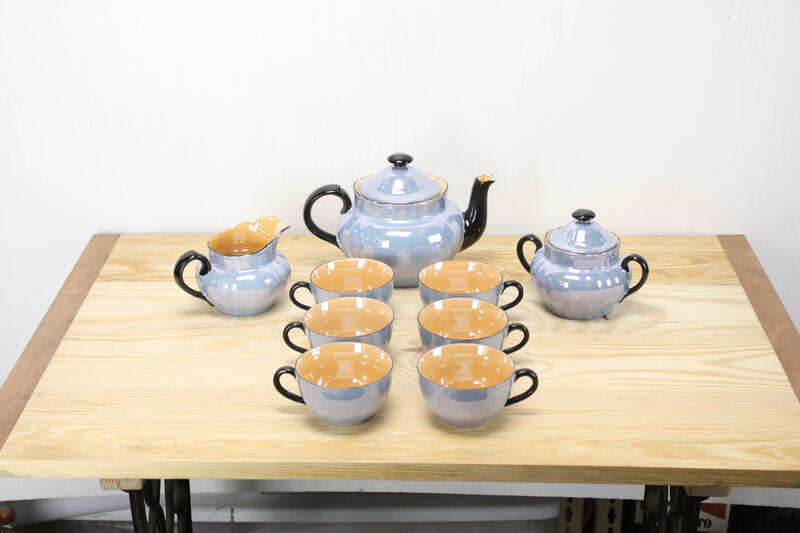 Set contains: 1 tea/coffee pot w/ lid, 1 sugar bowl w/ lid, 1 creamer bowl & 6 cups. 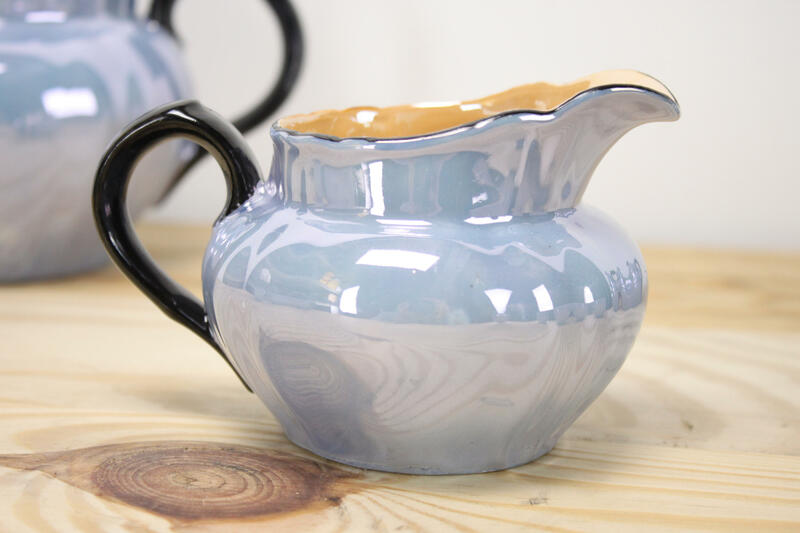 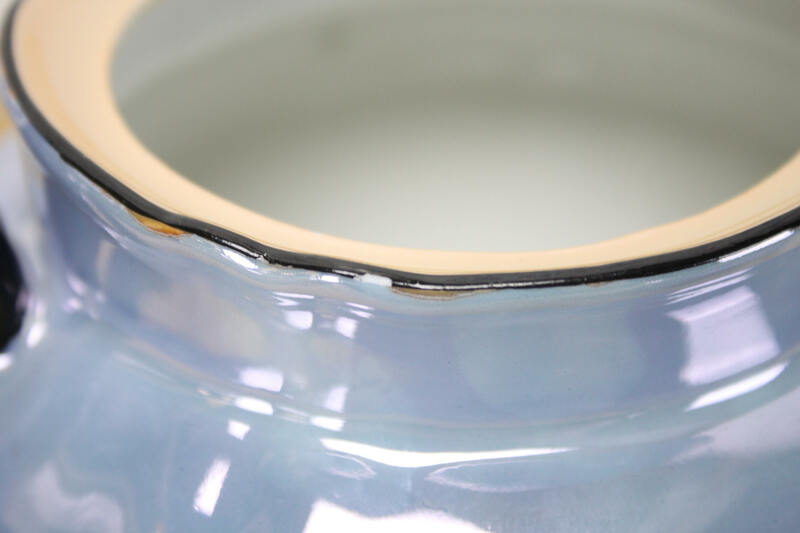 - Sugar bowl: 4.5" x 4" x 6"
- Creamer: 3.5" x 4" x 5.5"